Online PR News – 17-October-2011 – – Los Angeles, CA and Herndon, VA -- China Telecom Americas (CTA), the wholly-owned North American-based subsidiary of China Telecom Corp. Ltd. (NYSE: CHA) plans to open a new full-service Data Center in Los Angeles in a ceremony set for Friday (Oct. 21, 2011). The 6,500 square foot new center is located at 600 W. 7th Street, Los Angeles, CA 90071 and will bring an additional 15–20 jobs in the business district of downtown LA. CTA has about 100 employees in America and Canada, half work in California, however there are 670,000 workers at the parent company in China. China Telecom Americas is a provider of data, IP and voice wholesale services to multinational companies, organizations and international carriers requiring China domestic services and international access to China and to the Asia Pacific region. “This is a win-win business opportunity for LA presented by China’s continued economic growth,” said Donald Tan, president of China Telecom Americas. China is one of the most important trading partners for the United States. “Doing business with China can be both attractive and overwhelming to business owners entering the region. Many firms want an experienced partner to help them develop and deploy a plan for success in China,” explained Tan. George S. Mc Quade is a natn'l award winning veteran TV, radio, print journalist and writes a column on new media trends for various blogs including his own company blog @MAYOCommunications.wordpress.com. He is also founder and VP of MAYO Communications & MAYO PR since 1995. www.mayocommunications.com "We don't guarantee media, we just get it! 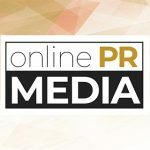 "™ MAYO PR is also the West Coast Bureau odwyerpr.com.